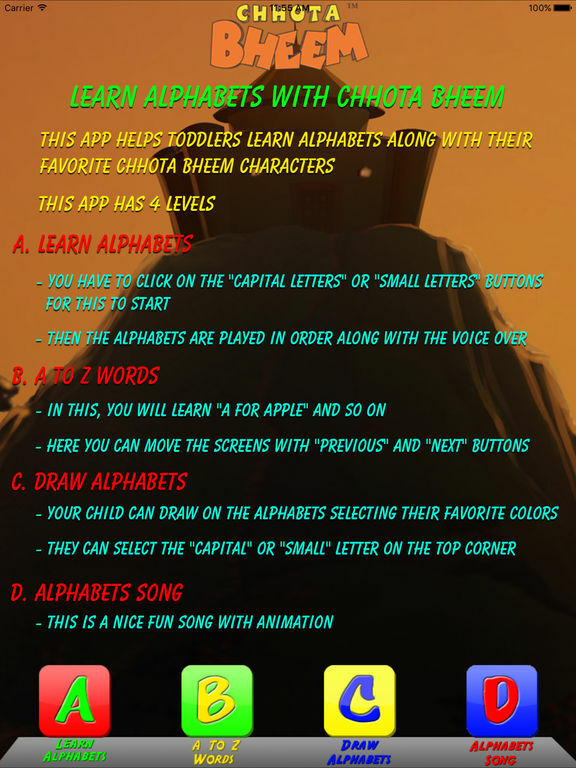 This is a nice educational app using which young children can learn Alphabets. 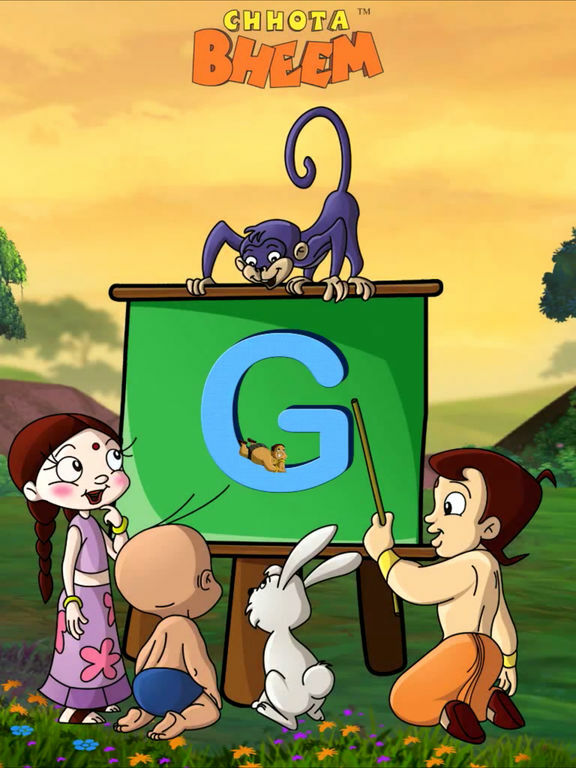 Various characters, images and poses from the Chhota Bheem TV show have been used here to teach Alphabets. 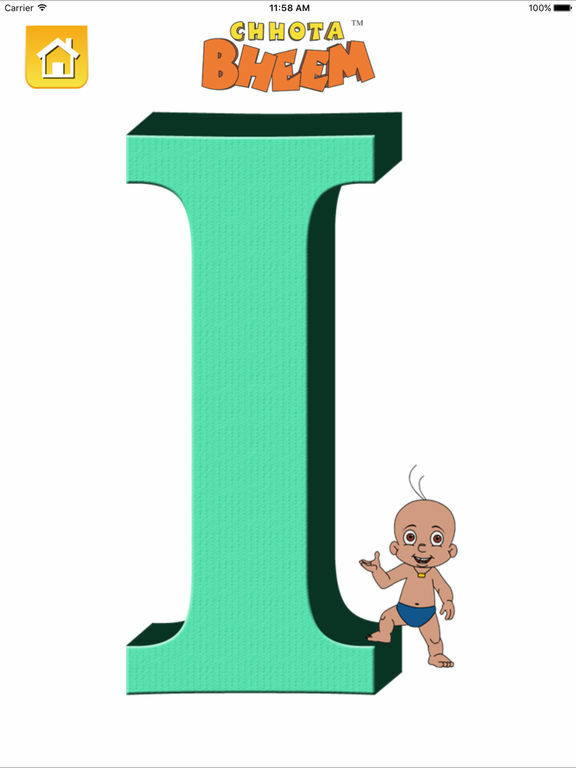 Learn Alphabets: This helps kids learn and recognize Alphabets along with the pronunciation. 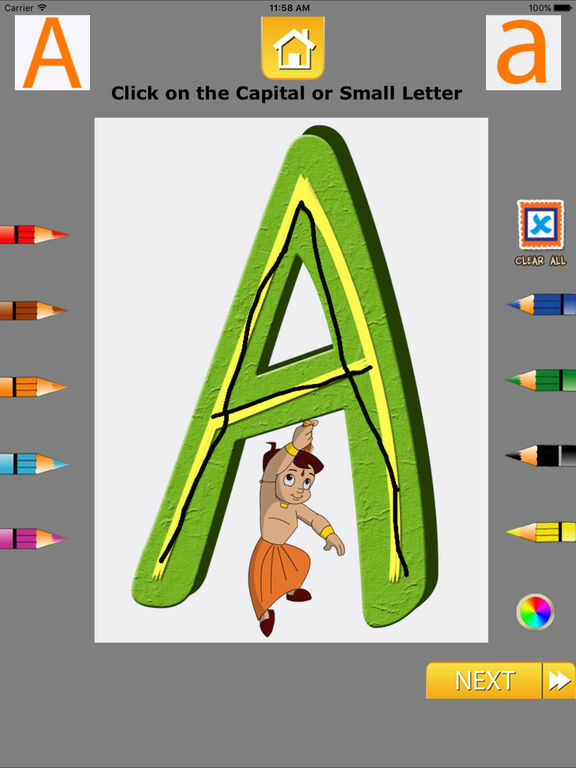 A to Z Words: In this, a kid can learn "A for Apple" and so on along with nice images of Bheem and friends. 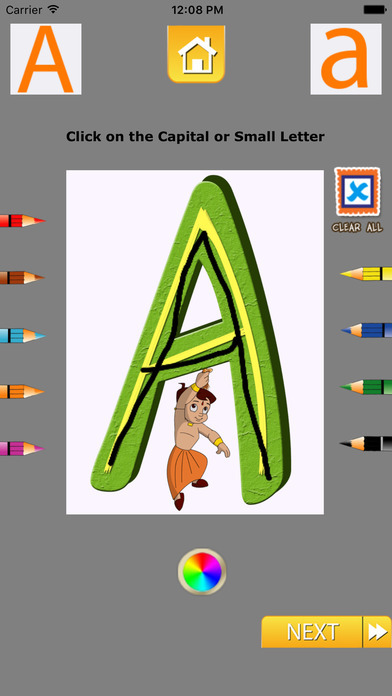 Draw Alphabets: This helps kids to draw over the alphabets and practice them in a fun approach using multiple colors. 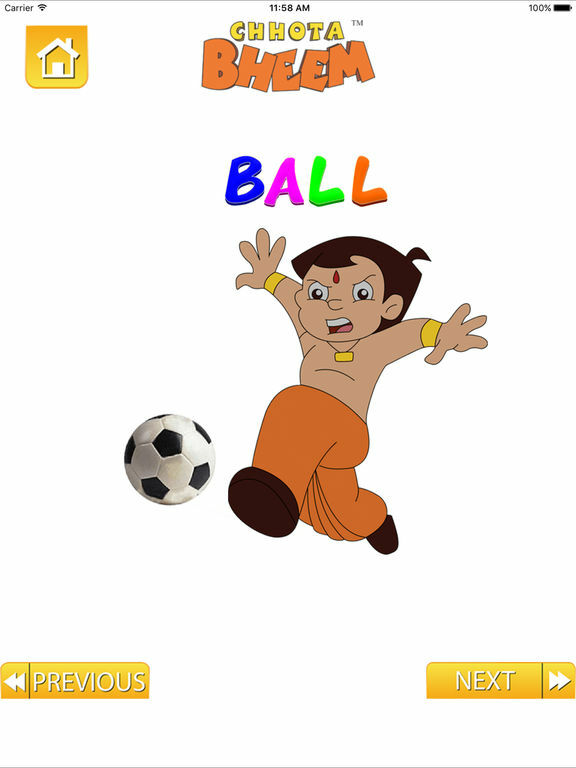 Chhota Bheem is India’s most loved animated character. 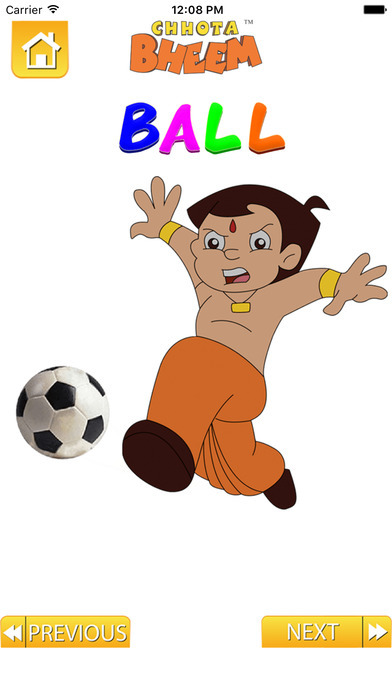 With a viewership of over 40 Million people, Chhota Bheem is India’s top animated TV Series. 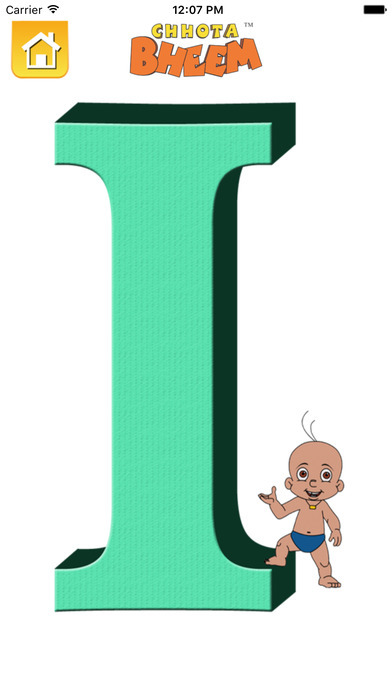 Chhota Bheem has been rated as India’s most favorite kid’s character.